Earlier this year, GLUE put out a blog about upcoming films we’re excited about. To celebrate the most notable of these upcoming films, GLUE has teamed up with Forbidden Planet (see what we did there?!) to offer you the chance to win free tickets to see Batman vs Superman: Dawn Of Justice, which will be released on the 25th of March. Plus, we have four Wacky Wobbler Bobbleheads and four super-cute POP! Heroes figures to win, courtesy of those awesome folks at Forbidden Planet Dublin! To enter the competition and see the details, have a look on our Facebook page to win two tickets and the four POP! vinyl figures. If you’re on Twitter, simply re-tweet our post to be in with a chance to win another two tickets and the four Wacky Wobbler Bobbleheads. These POP! vinyl figures stand around 9cm tall. Packed in an illustrated window box we can see these adorable, stylised DC heroes. With Batman vs. Superman: Dawn of Justice we are all hoping for the emergence of a DC team that might rival The Avengers. 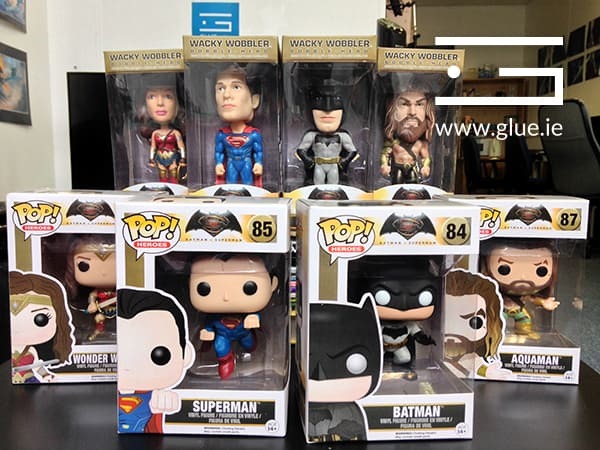 Your favourite characters from Batman v Superman: Dawn of Justice are now bobble heads! This set features the Man of Steel, Caped Crusader, the King of the Seven Seas and the strong and beautiful Amazonian as they’re seen in the blockbuster film. Could these fun and funky figures provide clues as to the direction this movie will take, as well as potential strides forward in the overall franchise? 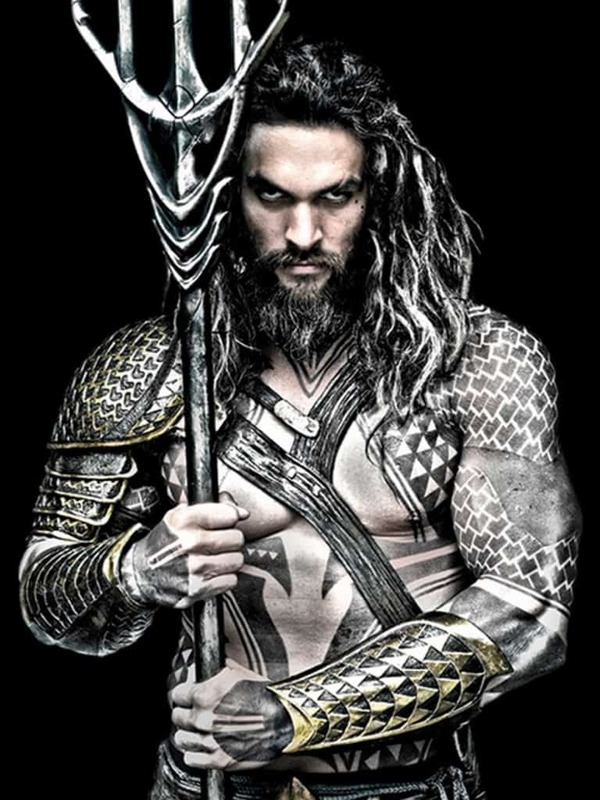 One thing’s for sure, Jason Momoa (Aquaman) looks set to expel the old image of the gold tunic-clad coral crusader that many haven’t taken too seriously of late. 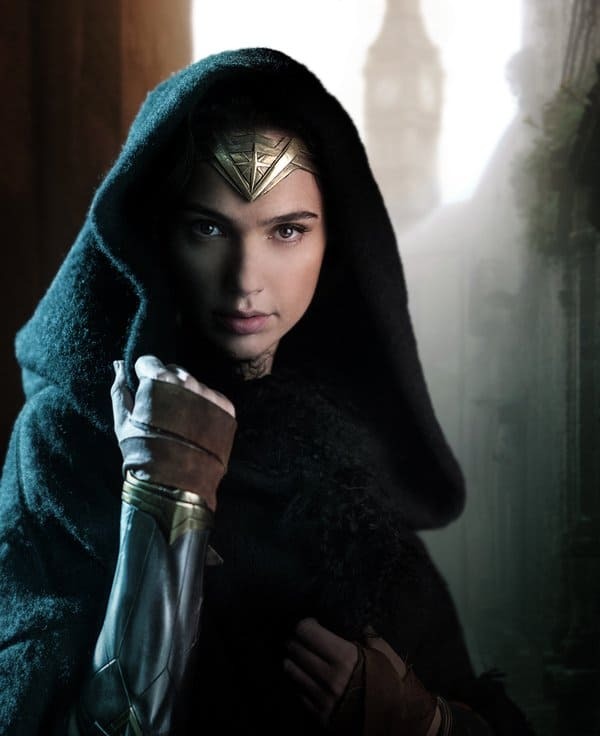 This film is building up to separate feature films for both Wonder Woman and Aquaman and eventually this will see us finally getting a look at the Justice League on the big screen. Don’t miss your chance to see this milestone in superhero cinema and to own one of these collectables. Have a look at the final trailer and get excited about winning!